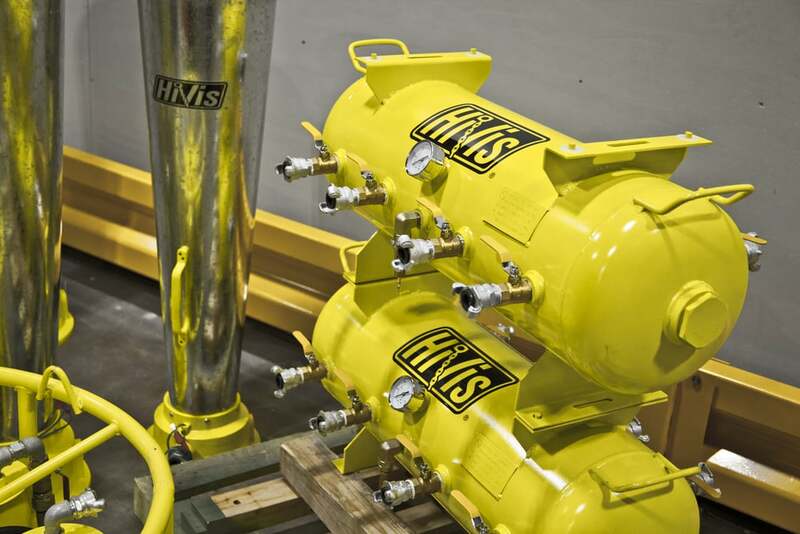 HiVis proudly offers heavy-duty air moving equipment for the busiest industrial and construction job sites. Our products provide customers with the tools to maintain clean, safe work environments. 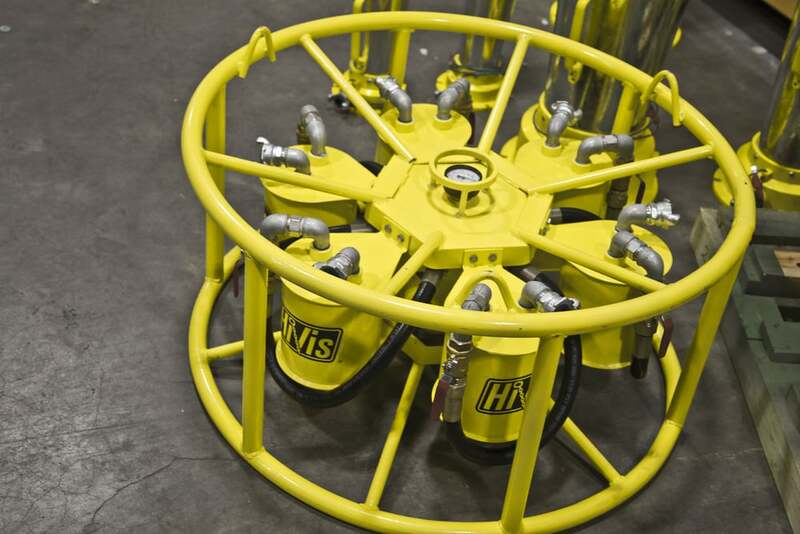 HiVis Manifolds and Venturi-Style Air Movers can improve your working area today. Eliminate the clutter and run just one hose to your worksite, and then connect up to eight pneumatic tools at once. Equipped with a gauge to monitor working pressure and a 200 psi pressure release valve to prevent excess pressure build up. Top and bottom brackets allow for easy stacking or mounting to skids or other surfaces. Connect or stack multiple manifolds to handle the busiest worksites. Used in any industry with a need for multiple air outlets to supply various pneumatic tools simultaneously. The 1-1/2" inlet can be dispersed through up to six separate outlets using CP couplings. Each has a manual shut-off valve and moisture separator with auto drain valve, increasing tool life. Rugged steel tubular design with tabs, can be rolled to the jobsite and allows unit to be lifted and stacked. HiVis venturi style air movers are used in many industrial and construction sites where there is a need to disperse hazardous fumes, move air into a confined space, cool individuals in elevated temperature conditions, or ventilate equipment and machinery with a blast of directed air. Common applications include shipyards, refineries, chemical plants, paper mills and manhole ventilation.